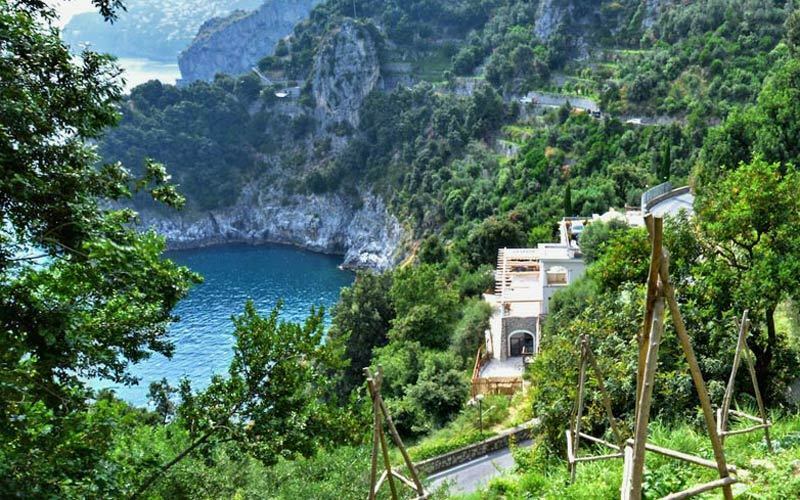 A hidden gem tucked between the rocky cliffs, surrounded by the lush Mediterranean vegetation and visible only from the crystal clear sea along the Amalfi Coast: Villa Campitiello is your hideaway among the carob and olive trees which cover the coast of Conca dei Marini. 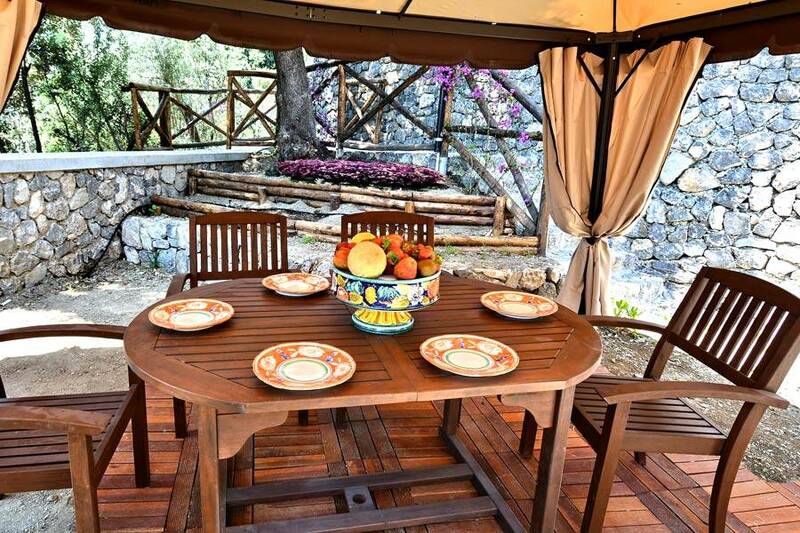 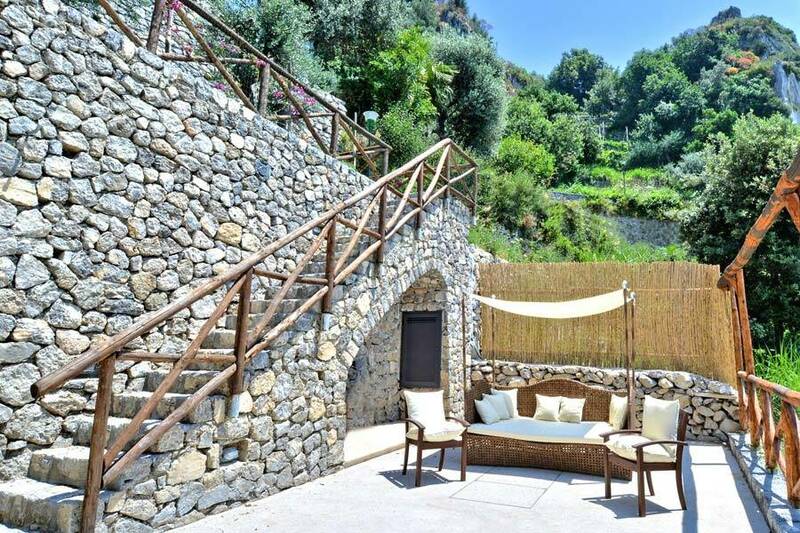 Relaxation, both of mind and body, nature, and local culture are the themes of your stay in this breathtaking villa, ideal for an unforgettable retreat to the Amalfi Coast's legendary sun and sea, but far from the coastal crowds. 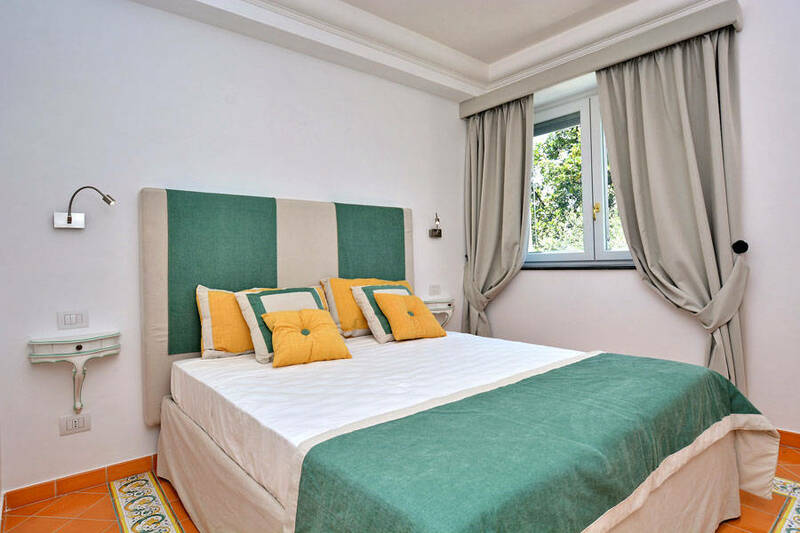 You can book an entire floor all for yourself of the Villa Campitiello estate, perched directly above the sea, and take advantage of the sweeping villa grounds. 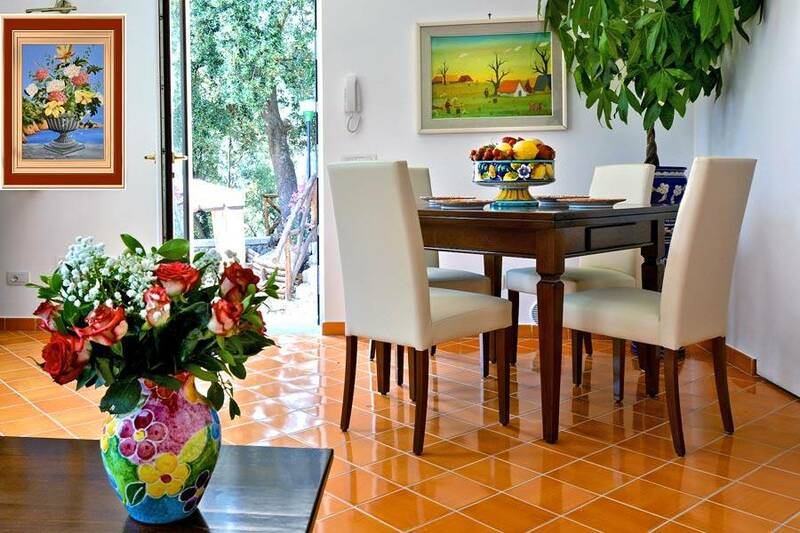 The residence includes two spacious bedrooms, carefully furnished, a kitchen, two bathrooms with tub and shower and a terrace furnished as a sundeck. 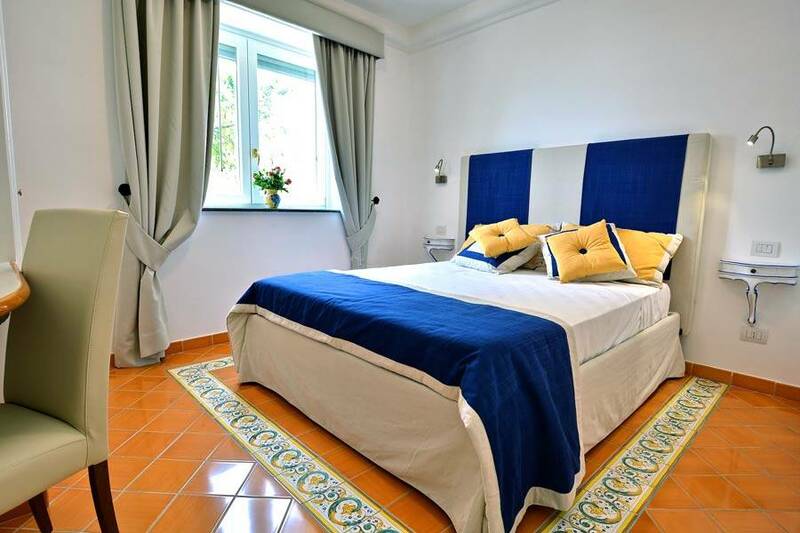 For an all inclusive vacation, treat yourself to the amenities offered by the adjacent Hotel La Conca Azzurra, offered to guests of the villa at a special price. 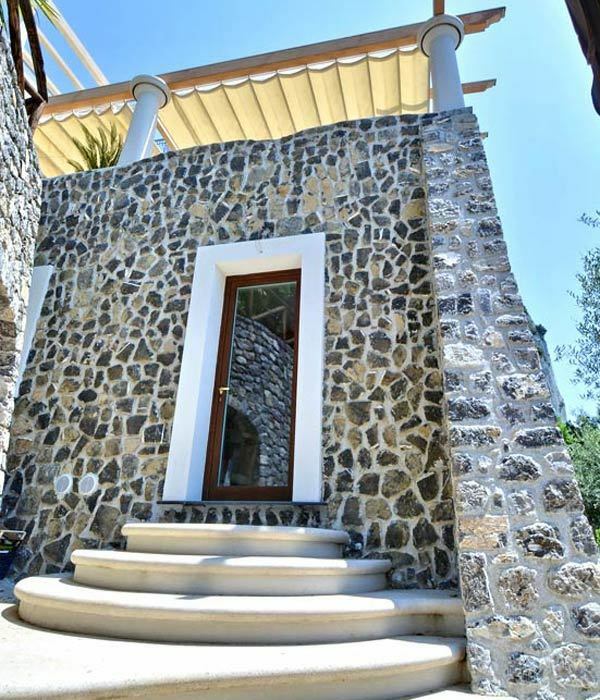 Villa Campitiello takes the promotion of the coastal culture and the preservation of traditional gastronomical customs and dishes seriously: from the estate's olive grove, the villa produces an excellent extra virgin olive oil, and the organic vegetable garden is used to supply the estate's Calajanara restaurant, which features traditional cuisine using strictly locally-sourced ingredients. 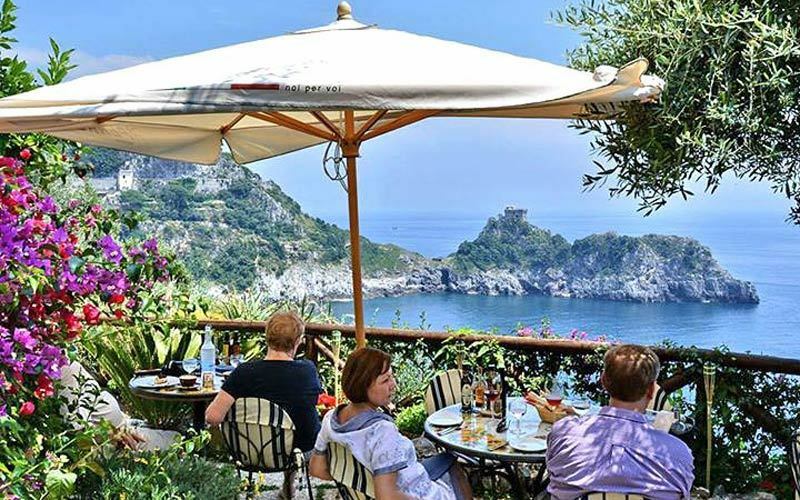 The Calajanara restaurant, located on the estate, is a landmark on the Amalfi Coast, famous for the quality of its organically grown and locally sourced products, including homemade pasta, the estate's own olive oil, and organic produce from the Villa Campitiello vegetable gardens. 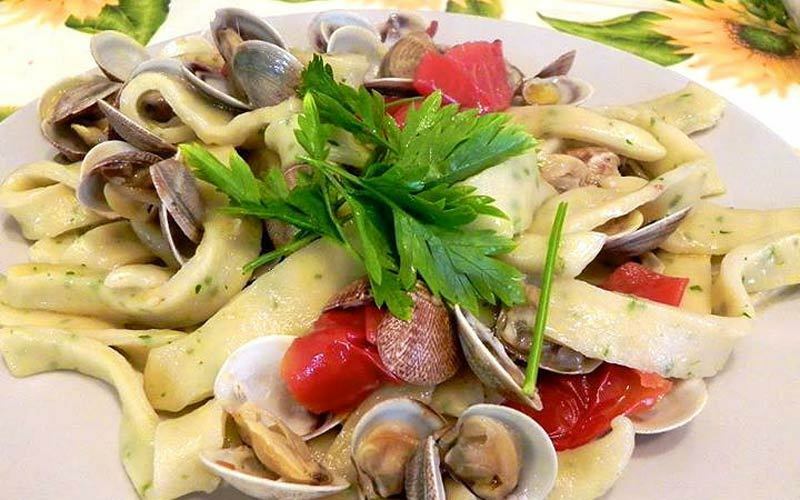 The menu features traditional recipes from the region of Campania, served with the chef's creative twist, resulting in Mediterranean dishes which are both beautifully presented and delicious which are famous among gourmands (and the press), who appreciate this respect for both local tradition and the enviroment. 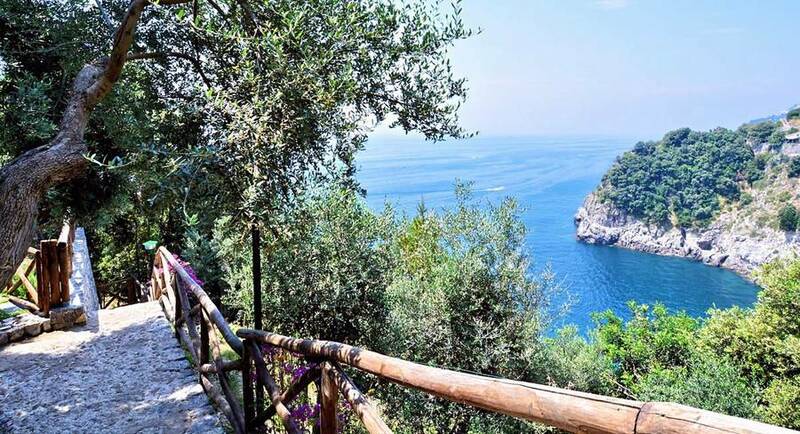 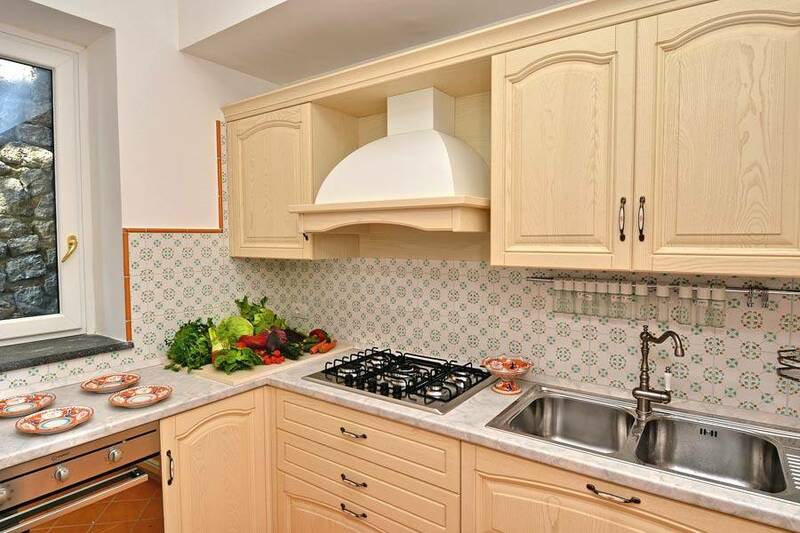 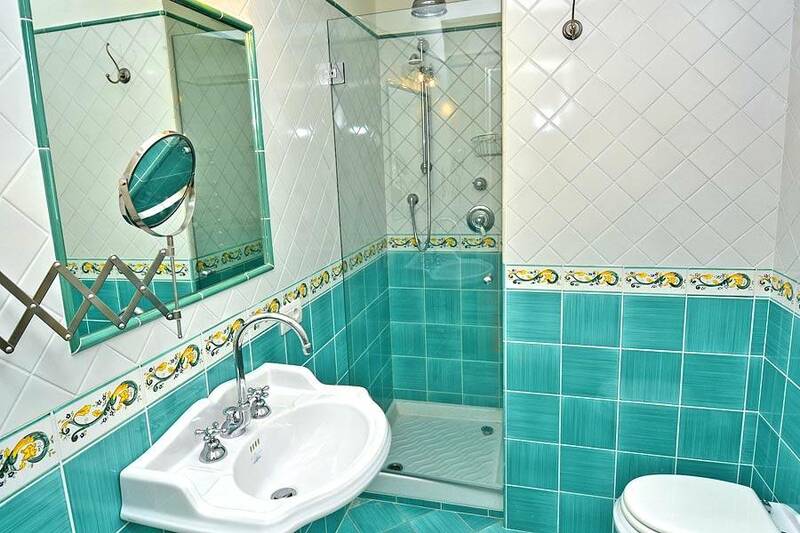 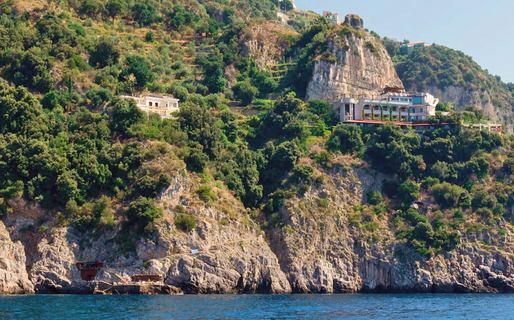 Villa Campitiello is located in Conca dei Marini in the province of Salerno, and next to the entrance to the Grotta dello Smeraldo (Emerald Grotto), where guests can enter using the elevator which opens into the grotto itself. 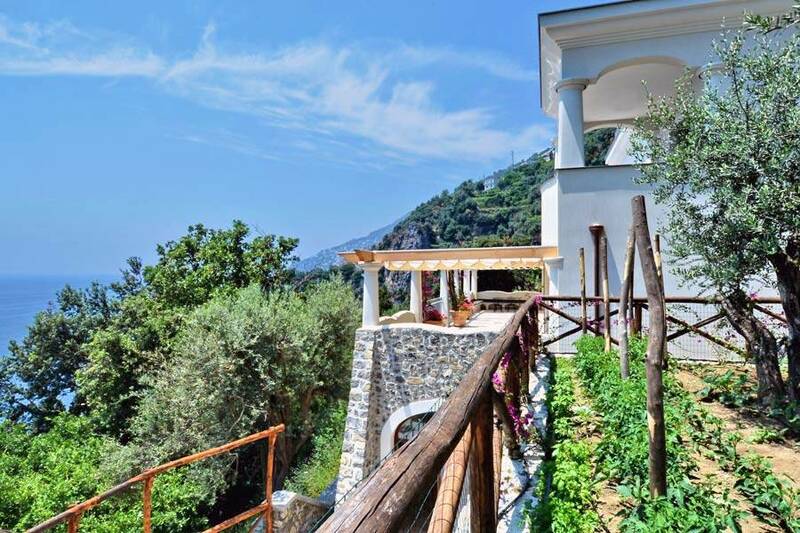 The villa is well connected to all the most famous sites along the coast, including Amalfi, Positano, and Praiano, by the public Sita bus route.